OMG! 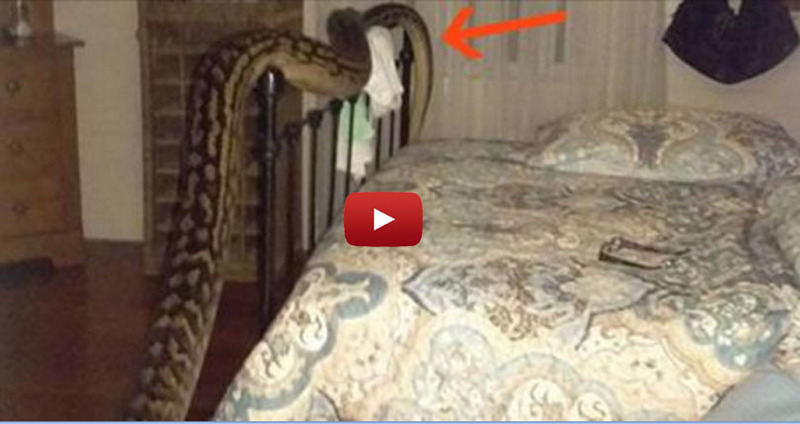 Woman wakes up to find a terrifying visitor at the foot of the bed! Trina Hibberd lives in Mission Beach, a picturesque beach community in Queensland, Australia. While a friend was visiting her house, the two ladies were woken up by a very unexpected guest. The 16-foot-long python had been seen around Trina's residence for some time, but she never thought he would come inside. After the snake was removed, the snake catcher told her that he was a "kangaroo killer." Let's hope he doesn't come back!